This book considers how nature - in both its biological and environmental manifestations - has been invoked as a dynamic force in human history. It shows how historians, philosophers, geographers, anthropologists and scientists have used ideas of nature to explain the evolution of cultures, to understand cultural difference, and to justify or condemn colonization, slavery and racial superiority. 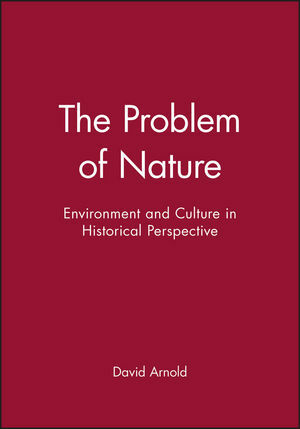 It examines the central part that ideas of environmental and biological determinism have played in theory, and describes how these ideas have served in different ways at different times as instruments of authority, identity and defiance. The book shows how powerful and problematic the invocation of nature can be. David Arnold is Professor of South Asian History at the School of Oriental and African Studies, London. His previous books include Famine: Social Crisis and Historical Change and Colonizing the Body: State Medicine and Epidemic Disease in Nineteenth Century India. 2. The Place of Nature. * A clear introduction to the historiography of nature. * Focuses on central problems in geography, anthropology and environmental history. * Main focus is on European imperialism and understanding American history. * A clear introduction to the historiography of nature. * Main focus is on European imperialism and understanding American history.